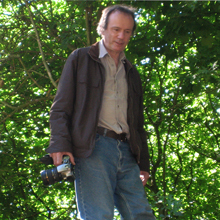 Nick McCamley is the acknowledged authority on underground military engineering in the British Isles and is the author of a series of best-selling titles on various aspects of his subject including: Secret Underground Cities; Cold War Secret Nuclear Bunkers; Saving Britain's Art Treasures; Disasters Underground and The Secret History of Chemical Warfare, all published by Pen & Sword Books. He has also contributed to a number of periodicals, lectures widely on underground matters and has both contributed to and been involved in the production of features in the broadcast media. "A comprehensive look at the sub surface structures or underground conversions built for or during the second world war. The photography is excellent - much of it taken in what must have been very challenging circumstances and also now unrepeatable. Where these structures now lie derelict, vandalised or sealed this is the next best thing to a personal visit and the book cannot be recommended highly enough for anyone with in interest in this era. Even if you don't have a specific interest, the photography and site stories will surely be of interest. A real gem of a book." "If your interest is underground/WW11 its the best book out there. The text gives you all the detail you need and a lot of thought has gone into what pictures have gone into the book. I have a large collection of books and this would be in the top five along with Bath Stone Quarries. Enough Said!" "An excellent history of the major underground factories and munitions bunkers of the Second World War; very well written with plenty of personality and lively anecdotes - came alive!" "This is a truly excellent book which is a must for all interested in the topic. The photographs and text are just magnificent." 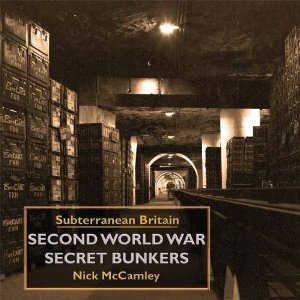 Second World War Secret Bunkers is a detailed photographic record of all the major underground sites developed in great secrecy by the British government and military establishment in preparation for the Second World War. Many of these sites were enormous in extent (some encompassing upwards of 100 acres of underground space) and often 100 feet or more below the surface. Sites illustrated in the book include the vast Corsham network in North Wiltshire: the army ammunition depots at Monkton Farleigh, Eastlays, Ridge and Tunnel Quarry (which had its own underground railway station linked to the Bristol to London main line); the Spring Quarry underground aircraft engine factory – reputedly the largest underground factory in the world; Copenacre and a whole series of other Admiralty stores and the museum repository at Westwood which housed all the treasures from the British Museum, the V&A and some forty other London museums and Galleries. Also included are the series of ill-fated RAF underground bomb stores at Llanberis, Harpur Hill, Chilmark and Fauld in Staffordshire which exploded in 1944 with catastrophic consequences. Amongst the other sites described and illustrated are the National Gallery’s secret repository at Manod quarry, high in the Snowdon mountains; underground factories at Drakelow near Kidderminster, Birmingham, and Westwood near Bradford-on-Avon; subterranean naval weapons stores in South Wiltshire and West Wales and the highly secret underground chemical weapons storage tunnels at Rhydymwn near Mold. Illustrated with approximately 450 colour and B&W archive photo’s along with original engineers drawings and plans. Many of the archive photographs originate from the collection of the late F.W. Allen, who was chief engineer in charge of construction of most of these sites on behalf of the Ministry of Works and who commissioned them between 1936 and the late 1960s as a permanent record of the work undertaken. Gaining access to many of these sites in recent years to obtain contemporary photographs has frequently proved both physically and administratively tortuous.